The media watchdog’s report has revealed young people are gravitating not only away from TV toward online video, but also away from seeing friends toward solitary screen-time. Ofcom researchers found that children between four and 16 were rarely interesting in reading, drawing, playing an instrument or other hobbies. One child surveyed spoke for the trend, saying said she preferred to “lounge around” watching Netflix and YouTube. The 2018 research found that young viewers are watching less TV. When they do, it is considered “family time”, and often revolves around programmes such as I’m A Celebrity… Get Me Of Here and Strictly Come Dancing. Children were found to spurn real-life social interaction and activities in favour of consuming media alone in their bedrooms. The Ofcom report said: “Often children described going out to meet friends face-to-face as ‘too much effort’ and preferred to spend their free time on their own at home. “Broadly speaking, it seemed that many children saw their friends face to face outside of school relatively infrequently. Children in 2018 were watching more online than on TV set, and finding it increasingly difficult to moderate their screen time, with 35%, compared to 27% in 2017, having problems putting their devices down. Around 70% of children are allowed to bring their mobile devices to bed with them. Children’s weekly time in front of a TV has fallen by around an hour each year since 2015. Currently around 49% of children aged five to 15 watch services such as Netflix, and 89% of young teenagers watch YouTube. 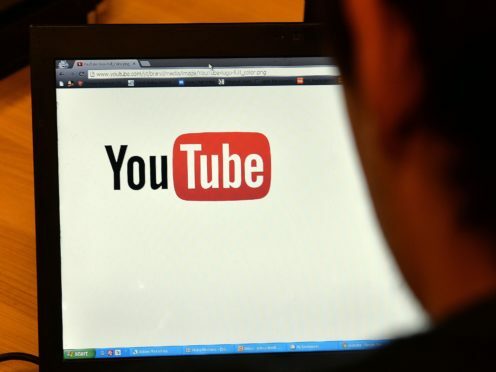 According to Ofcom, the young people feel a sense of connection with online personalities and vloggers, who are seen as “a source of inspiration and aspiration”, with half of children saying making videos online is a favoured activity. The report found they wanted to emulate YouTube stars, and felt they could be “discovered” online. Research found they prefer the way online and on-demand content is tailored to their interests, which increasingly do not include meeting friends. Instead, children have been found to prefer messaging online, and through multiplayer games. When children are drawn away from their devices toward TV screens, it is for “background noise” between activities, or for family time. The report found: “Most children viewed live TV as a family ritual, often watching programmes routinely every year (e.g. Strictly Come Dancing, I’m a Celebrity… Get Me Out of Here). The report found that children prefer to search for content they like online, without parental help. Voice tools were used to spell for them, then searches were made with that information.